Claire at Waltzingmouse really does Christmas so well. One of my favorite companies for Christmas stamps and dies. 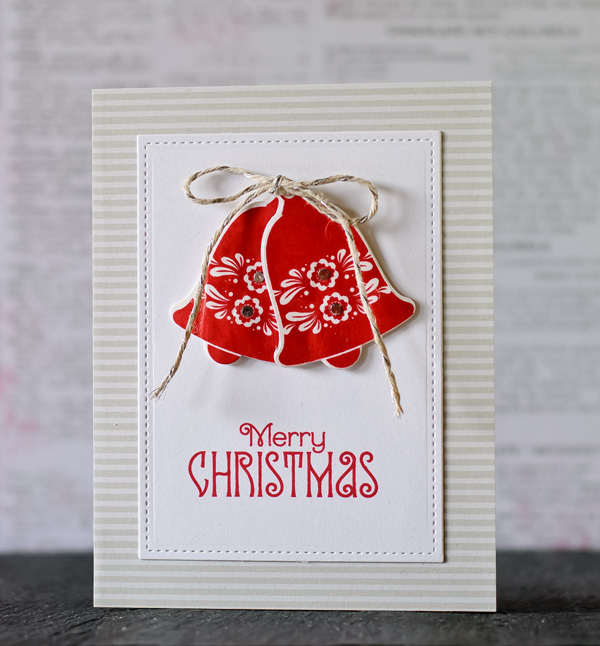 Waltzingmouse Folk Art Christmas Additions stamps and dies. Sorry to be short, but I've got a long list of things to get done today! MOOD WHEN DONE = Merry! Love the folk art feel -- wonderful card! Merry indeed! Love the Scandinavian feel of these stamps. Thanks. (Can't wait for chapter 5). These are the prettiest bells! Oh, my goodness, they look hand painted. Beautiful sentiment, too. Lovely card, Joan--I might need to buy this stamp set!